Nationalism is really important as a developing country. Indonesia as a “new” developing country should also build its nationalism. Especially for Indonesian young people. Since nationalism can accelerate the development of the nation. Nationalism can also make the idea of “big Indonesia” and “prosperous Indonesia” coming true. But, how nationalism can be that great to build a prosperous country? Well, let’s begin with the definition of nationalism. 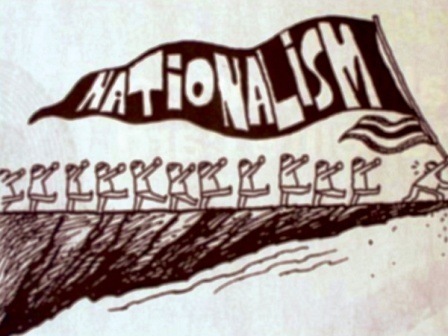 Nationalism is a political ideology that involves a strong identification of a group of individuals with political entity defined in national terms, i.e. a nation. It is said that in the modernist image of the nation, it is nationalism that creates national identity. From this definition, nationalism can also be a power. A power to bond everyone in a nation. But, unfortunately, Indonesian people, especially Indonesian youth people don’t have the capability to use that power. Otherwise, they used to ignore and abandoned nationalism behind. In their mind, nationalism is just something that we celebrate, such as: independence day or something like that. Although, in fact, nationalism is who we are in our daily life not one a year. Enough for the explanation, now let’s see the real life, what we have done as a nationalist (?). Tell me what you eat? What is your clothes mark? What is your favorite tv program? Most of us (Indonesian youth people) are used to foreign product, especially western product. How many time you eat at KFC or MCD? How many time you buy clothes made by local designer? I am not saying that it is forbidden to use or buy foreign products, but if more and more Indonesian peoples used to buy foreign product, in the end of the day, there will be no more traditional market and local product. If by using local product displaying nationalism, so the questions above are also a way to measure your nationalism. The point that I would like to convey here is “try hard to use local or national product as much as you can”. This is your daily nationalism, an intangible nationalism. Hope it helps.